Jensen Beach rests right on Florida’s eastern coast with a full view of the sunrise signaling the dawn of a brand new vacation experience. Vistana’s Beach Club is the ideal place to stay if you want to be in the middle of all of the action. SellMyTimeshareNow.com has an extensive inventory of timeshare resales and rentals available now at discount rates of up to 70% off! What’s My Vistana Beach Club Timeshare Worth? 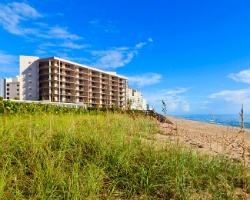 Vistana Beach Club Jensen Beach FL offers all of the thrill of the Sunshine State’s famous eastern coastline. With breathtaking views, a location that is a short distance from exquisite beaches, and perpetually great weather, you’ll be in paradise any time of the year. Some of Florida’s best attractions are right at your fingertips including amazing PGA-pro designed golf courses, the Florida Oceanographic Coastal Center, and the Fort Pierce Inlet State Park. In minutes you could be doing some species sighting at the Manatee Observation Center, learning something new at the St. Lucie Historical Museum, or taking the kids along to embark on the Island Princess Cruise. 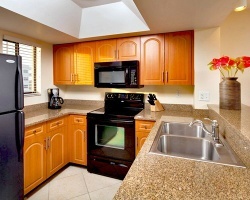 These comfortable two-bedroom condos offer optimal relaxation and comfort for families or small groups. The oceanview from your own furnished balcony does not get any better, nor does the well-appointed kitchen with modern appliances, a fully furnished living area, and cozy bedrooms. The dining area for six ensures great opportunities to sit down for dinners as a family. These accommodations also feature multiple bathrooms, a pull out sofa, and air conditioning all to provide you with a leisurely experience to help you unwind during your next great vacation to the sunshine state. It’s all waiting for you here at Vistana Beach Club. The question is, are you ready to start planning your next dream vacation today? Fill out the form on the right or call our timeshare resale specialists at 1-877-815-4227 for more information on planning this unforgettable vacation. 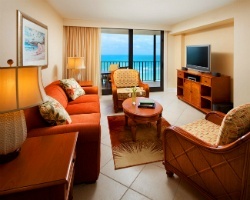 Vistana Club Jensen Beach FL is a great home-away-from-home, and vacationing here is more affordable than ever when you purchase a timeshare resale on the secondary market. You’ll save up to 70% off when you deal directly with the current owner, avoiding any additional fees typically tacked on by the developer. Vistana Beach Club rentals and resales come in the form of deeded fixed or floating weeks. Floating weeks are available in any season. You may also choose to vacation annually or biennially, offering you a great deal of flexibility when considering your vacation scheduling options. Becoming a Vistana Beach Club timeshare owner means you’ll be vacationing at a resort with a reputation for luxurious accommodations at economically-savvy prices. This is the reputation for most resorts affiliated with Starwood Vacation Ownership. SVN, which has since been rebranded as Vistana Signature Experiences, features a catalog of wonderfully-appointed timeshares in amazing locations all over the world. VSE offers two types of resorts: Mandatory and Voluntary. Vistana Beach Club is a Voluntary resort. Find out what that means for your vacation and discover other aspects of VSE ownership at the Starwood Information Center. Vistana’s Beach Club is affiliated with the two largest external timeshare exchange companies in the world, RCI and Interval International. When you purchase a membership to RCI or II, you can deposit your timeshare week into the exchange pool for a chance to vacation at any of the thousands of affiliated resorts all over the world. Due to Vistana Jensen Beach’s impressive service, top-quality accommodations, and overwhelmingly positive guest reviews, the resort is rated an RCI Gold Crown and Interval International Premier resort, meaning that the property holds high trading value. You’ll be able to stay at virtually any resort you choose. Nothing beats the location at Vistana’s Beach Club. Within minutes, you could go from your front door to the ocean. The resort also offers recreational activities to create optimal relaxation such as the outdoor heated pool, jacuzzi, billiards room, ping-pong room, and more. Play a round of tennis on the club's court or start a duel of the minds with the oversized chess set. Kayaks, bicycles, and snorkeling equipment can be rented to allow owners the chance to explore every inch of the beautiful Jensen Beach. Use the gas barbecue grills to whip up a nice lunch for you and your family to bring down to the beach. Golfers will truly feel they’re in paradise as they are minutes away from some great, professionally-designed courses. Guests can also enjoy fun activities nearby including beachfront horseback riding, deep seas fishing, boating, sailing, and so much more. Start creating memories today by inquiring about the Vistana Beach Club now! Already Own at Vistana Beach Club?